Bellingham WA Florist - Bellingham Flower Shop - Contact Rebecca's Flower Shoppe - Bellingham, WA. Bellingham's most distinctively exquisite florist. Independent Florist Bellingham WA. The most distinctively exquisite and unique Bellingham florist. Please contact us by phone, e-mail, or even better, in person. Rebecca's is dedicated to personalized service for every customer. We believe that every client deserves distinctively beautiful flowers creatively designed and delivered with absolute personal and professional integrity. Visit us on Facebook at Rebecca's Flower Shoppe for the latest updates and seasonal offerings. Once you have experienced our special flower shoppe's magic we know you will be back again and again to the loveliest Bellingham florist shop. 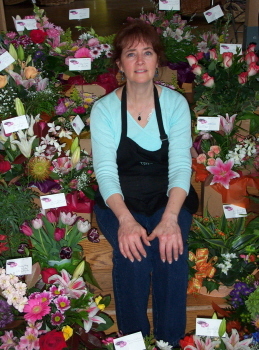 Rebecca's is an independent ethical full value Bellingham florist. 1003 Harris Ave. Copyright © 2015 Rebecca's Flower Shoppe, all rights reserved.